Each person needs 3 components to achieve success: motivation, diligence, and inspiration. In fact, motivation, and diligence will make a person productive, but these two features won't make you the best one. Motivation and inspiration without diligence boost creativity, but the person stays low-performing. In the same manner, if we combine diligence and inspiration, we get an ambitious but ineffective person. So, you need all three aspects to put your plans into action. Inspiration is the necessary part of all spheres of life. It makes a great influence on your progress and, consequently, on your income level. You should know that creativity and personal interest lead to the high quality of your work and overwhelming results. It is chiefly important for people, who work with art and culture, as creative professions are incompatible with the daily routine. Develop your skills, visit new art exhibitions, extend your audience, represent creative projects on the Internet and try to find something that excites you! So, where to find the 'life breath' to boost your career? 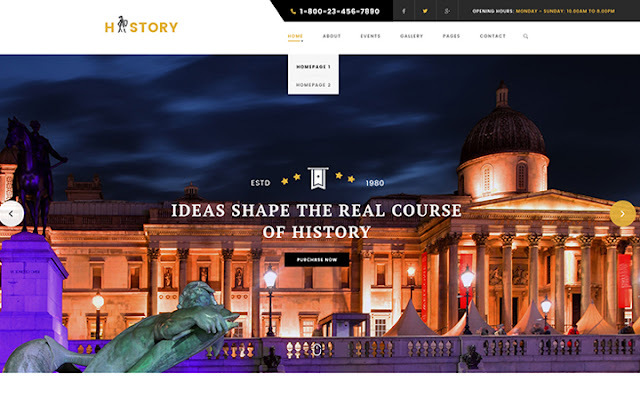 If you want to propel your business to a new level and go online or develop an existing website, you may choose a suitable theme from these art and culture WordPress themes. collection. All of these templates are fully-featured, easy to customize and visually appealing, so you will definitely find an ideal theme that meets your requirements. Inspire and get inspired by TemplateMonster. 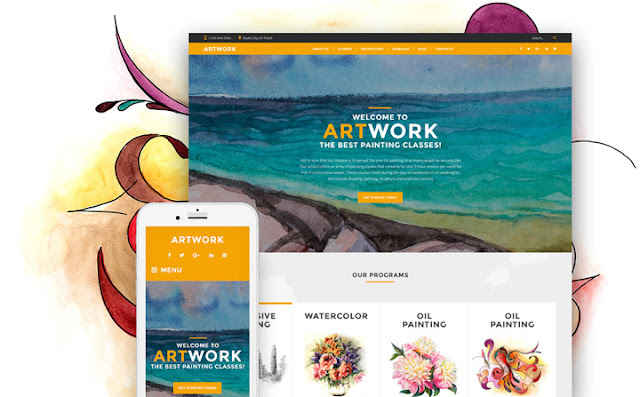 This is a wonderful mobile friendly art & culture Theme, suitable for creative and culture projects. It is based innovative CSS grid layout, which features flexible UX&UI elements, that will catch your viewers' attention. Besides, it is complemented with a great number of versatile plugins. 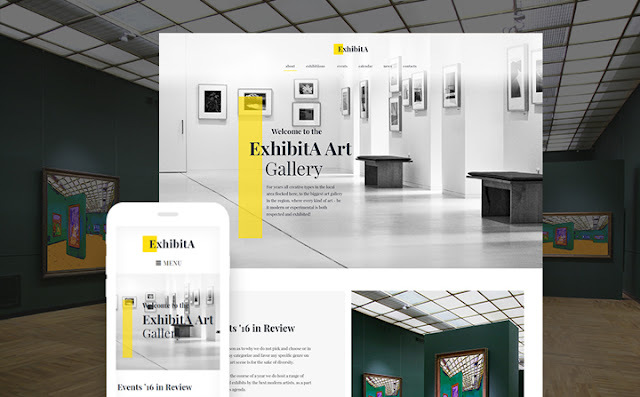 As can be seen, this art gallery template has an elegant and unusual design with eye-catching details. 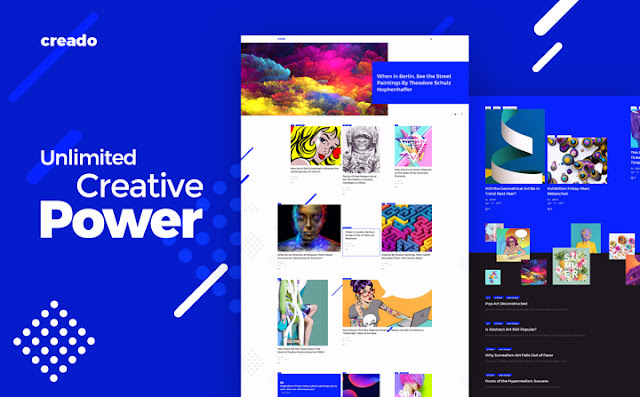 Also, you should know that this template was featured in the 15+ Best Parallax WordPress Themes and 10 Stylish WordPress Templates for Artists collections. This is a first-rate WordPress theme with fully responsive and cross-browser compatible layouts. It is a perfect solution for news websites, Internet magazines, review sites, and personal blogs. In fact, this template is one of the best art themes with a minimalist visual design and robust structure. It has a logo and main menu that will draw attention to your arts and sketches. The navigation is intuitive, so your clients will be able to find exactly what you need right away. 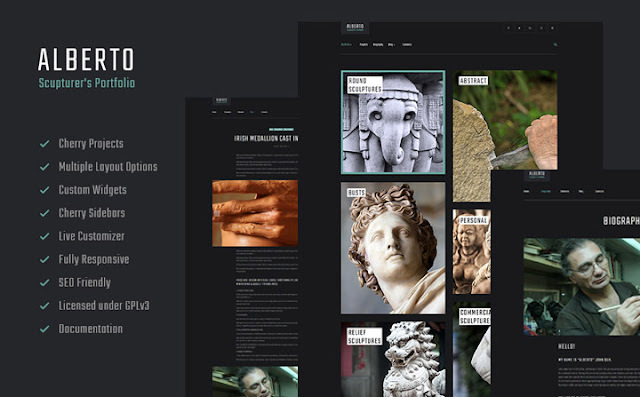 This is an inspiring portfolio WordPress theme for portfolios and exhibitions. It is designed in dark shades, which emphasize bright colors of the images. Besides, the theme comes with 6 blog layouts, 5 post formats and 3 sidebar variations, built with Cherry Framework, and WordPress live customizer support. 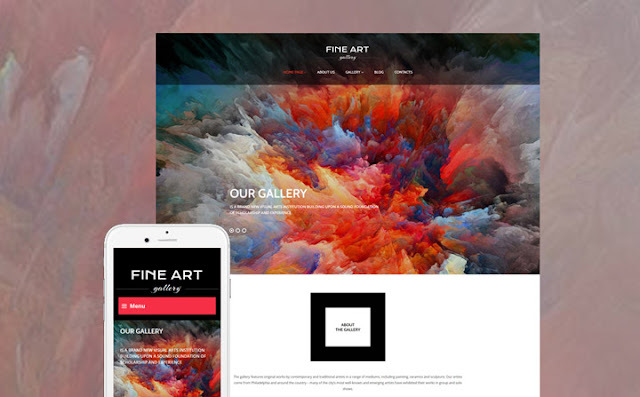 Using this art & culture WordPress theme, you will build a fully-featured website with a mobile friendly design. As for the animation, the theme is powered by the background video, parallax scrolling effect, TM gallery, and up-to-date backgrounds. In addition, this template has the useful Cherry Testimonials and Team Members plugins. This template has a stylish and eye-catching design, which will fit all screen sizes. Its admin panel is clean and user-friendly. Beyond that, it comes with a Page Builder, Visual Composer, and WP Live Customizer that will help you to edit a website without any great effort. 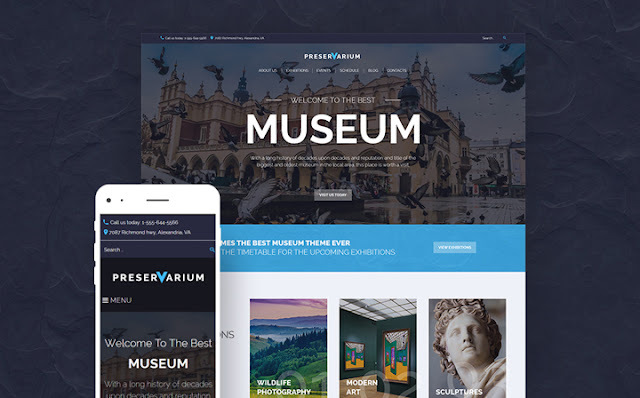 Spectacular Art Museum WordPress template is easy to install and adjust to your needs. It comes together with a Visual Composer, admin panel, RTL support, contact form 7 and the Revolution Slider. Besides, it is complemented with stunning CSS3 effects and visually attractive animations, Google map, social icons, fonts integration etc. 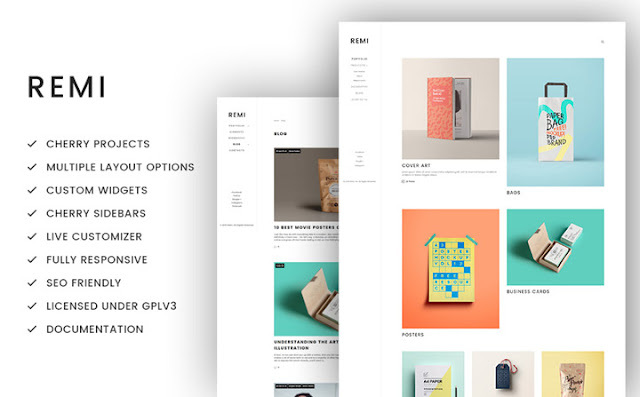 This is a fully responsive, cross-browser compatible and well-documented template. So, you will be able to edit your website just following the detailed instructions included. Also, it has blog page integration, so you will be able to show your art pieces and keep an inspiring blog on a single website. This theme is easy to use and customize, as it is powered by a visual page builder and a user-centric admin panel. Also, it comes with RTL support, contact form 7 and the Revolution Slider. Watch the live demo to learn more! This template has a drag-and-drop page builder coupled with a live customizer, so the customization process will be quick and easy. Not to mention, that it is fully responsive and this theme will fit any screen size. 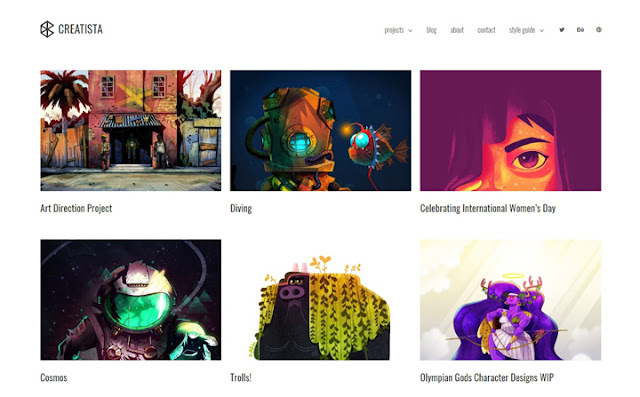 Also, it is featured in The Best WordPress Themes list. 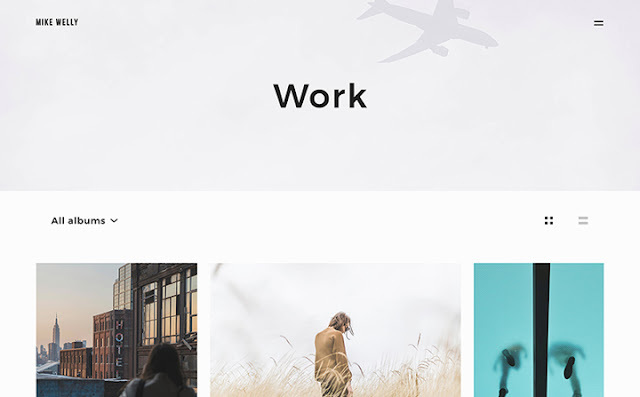 This Minimalist Artist Portfolio WordPress theme has a well-balanced visual design together with a fully-featured Jetpack plugin to power your portfolio. It is suitable for visual art, cartooning, comics, animation design, product design, fine art, interior and fashion design, and many other branches. 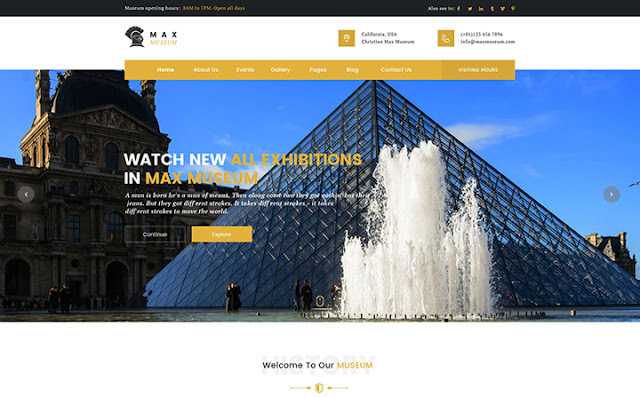 This is a 100% responsive and well-documented theme for your museum and art exhibitions website. It has a perfect visual design with the parallax animation effect, appointment booking, and a timetable plugin. Try this template right off the bat! 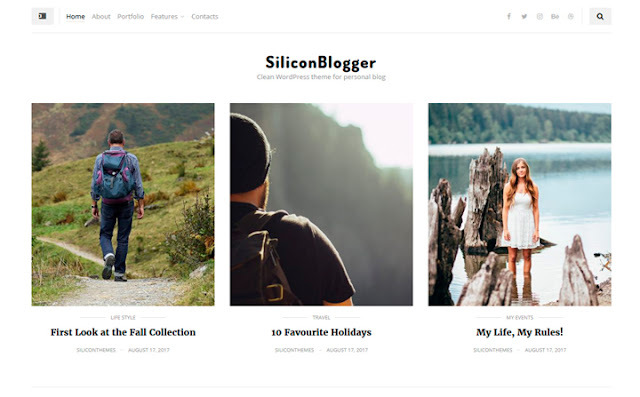 This is a visually appealing photography WordPress template that will help you to create an eye-catching portfolio on the Web. 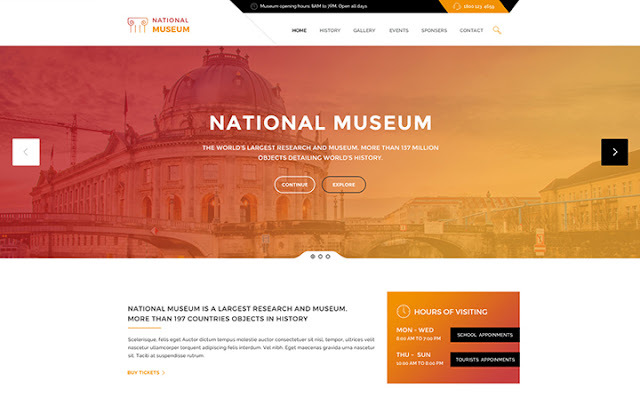 It has a clean minimalist design together with the well-built structure and fully responsive layouts. Check out the live demo to see it in action! 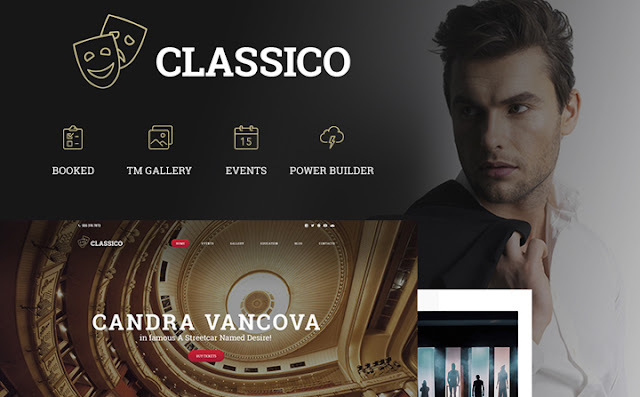 This is a fully responsive theater WordPress theme, which features an elegant and eye-catching design. It has a powerful built-in TM gallery, multiple blogging layouts, and flexible header and footer styles. In addition, it is easy-to-use, so you will be able to launch a website without any great effort. Want to start your online project right now? Read the free eBook "The Things You Absolutely Need to Know about SEO" to make your website #1 in search results top! It will teach you, how to make your website search engine optimized in a few steps and why it is beneficial to you. Stay tuned!